Sydney is the capital of New South Wales and host for the year 2000 Olympics. It is Australia's largest city built on a spectacular harbour and home to two of the world's more famous structures. The Sydney Opera House with its bizarre architecture and the massive iron arc of the Sydney Harbour Bridge are readily recognisable (both pictured). Sydney is also Australia's oldest city settled in 1788. The Rocks area preserves many stone buildings from Australia's early settlement. Surfers frequent the now trendy suburb of Bondi Beach, a well visited area amoung young people staying a while in Sydney. Kings Cross and its tacky nightlife is also well known. Sydney is truly one of the great cities of the world. 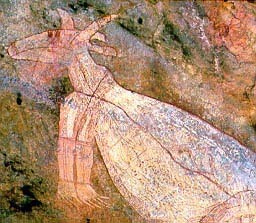 Inland from Sydney are the sunken valleys of the Blue Mountains National Park. The scenery is most dramatic around the town of Katoomba. Canberra, the nations capital, is a small modern clean city with many monumental government buildings, museums and galleries. 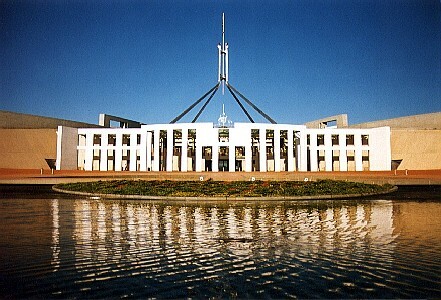 Most extravagent of all is Australia's parliament building (pictured), built underneath a hill and recently completed at great expense. Two hundred kilometres from Canberra are the New South Wales ski fields. They operate in winter only. Transport services radiate from Sydney to all sizeable towns in New South Wales. There are regular bus and daily train services along the coast north to Brisbane and southeast to Canberra and Melbourne. Bus and train services also go to Adelaide. 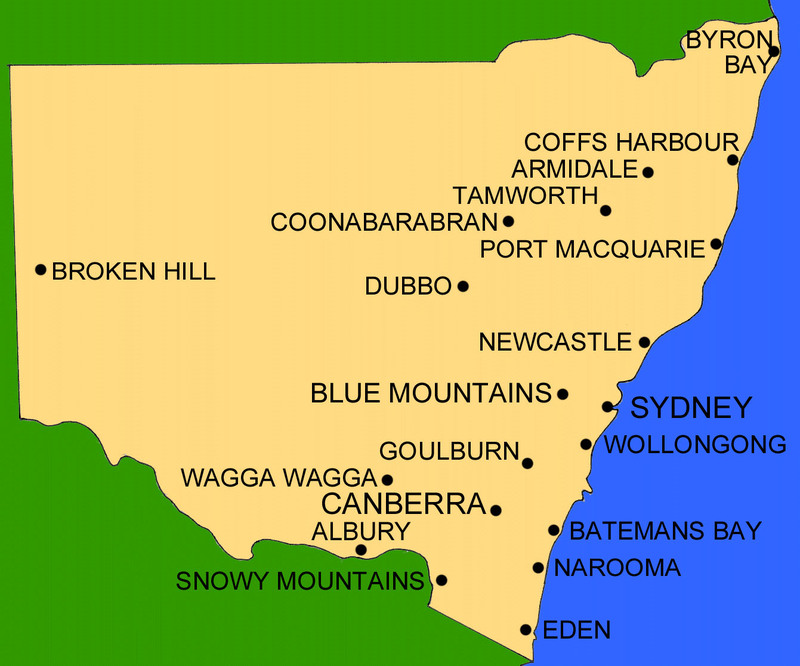 Sydney airport has flights to all Australian state capitals, regional New South Wales. The major domestic carriers are Qantas and Ansett. Always ask for special deals or discount fares. These are more likely available if you book and pay one week or preferably two weeks in advance. Two new discount operators fly limited routes. Impulse flies to Melbourne and Brisbane. Virgin Blue flies to Brisbane. More international flights come and go from Sydney than any other Australian city.